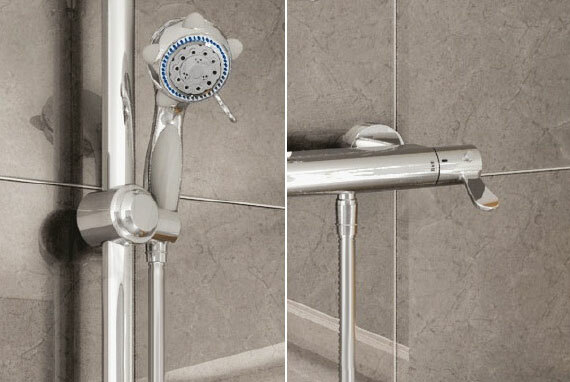 When it comes to designing easy access showers, we know how to make them look as good as they are practical. From high end fittings to stylish tiles and accessories, we create showers that are a joy to use now and in the future. Our easy access showers are completely designed around your needs. Not only do we account for your current mobility, but consider how it may change over time. We then customise the shower area accordingly, whilst adding elegant finishing touches to deliver a 5 star showering experience. Whilst style is important, your safety is a priority. 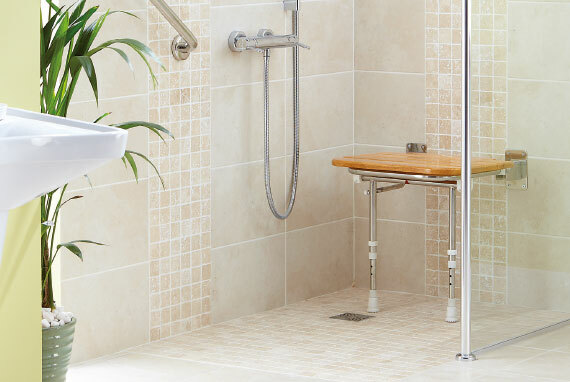 From our wide range of shower accessories, we select fold away shower seats and safety grab rails to make showering safer and more comfortable for you. Every aspect of your new shower is chosen to make bathing easier and safer without compromising on style. Our range of contemporary shower screens are made with safety glass with a special coating to protect against mould and bacteria. Available in standard sizes or made to measure to your exact requirements. 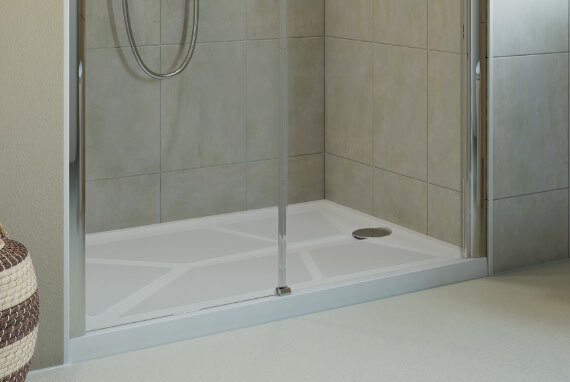 We supply a wide range of anti-slip, anti-bacterial shower trays with low steps or level access. Available in a variety of sizes to allow for spacious showering, or to make the most of small spaces. 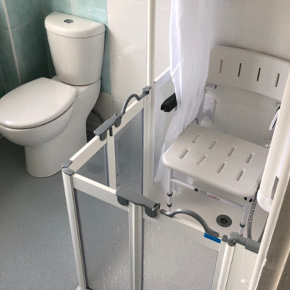 We help you select and choose accessories to make your showering experience safer such as unobtrusive fold away shower chairs which can be stored out of the way when not needed. Whether your style is modern or traditional, we have a wealth of taps, tiles, flooring and bathroom storage from which to choose those finishing touches to match your taste. 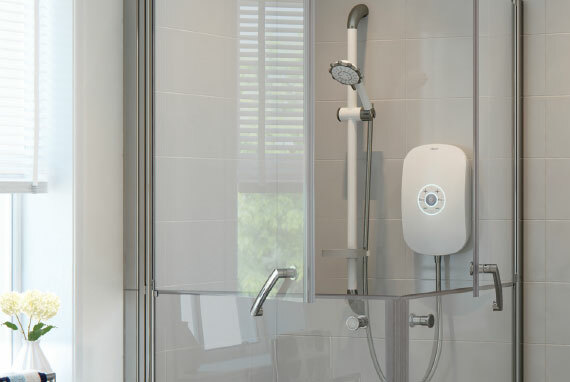 Take a look at how we've created easy to access showers that meet the varied needs of our customers. 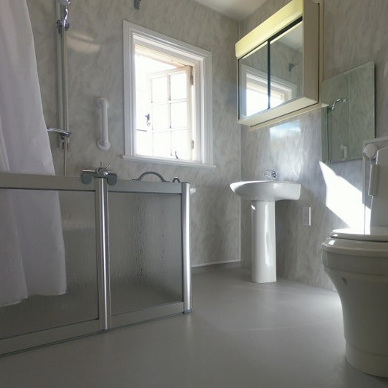 Installing an easy access shower, and other bathroom adaptation, enabled a motor neurone sufferer to remain longer in his own home. Difficulties with using the bath because of arthritis and deteriorating eye sight, were solved with a new walk in shower.